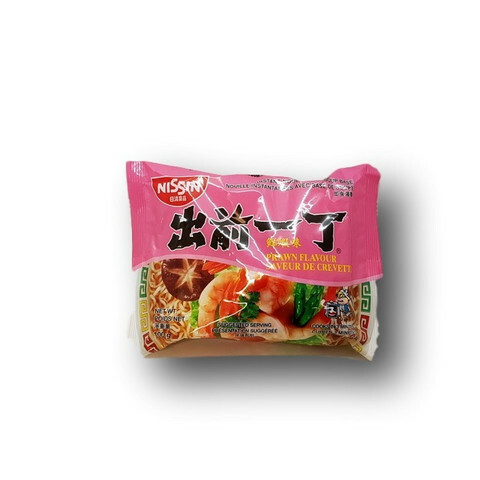 Noodle: Wheat flour, palm oil, salt, sodium hexametaphosphate, raising agent (E501), sodium tripolyphosphate, raising agent (E500), thickeners (E401, E412), dextrin, sodium antioxidants (E339, E306, E304), stabilizer (E450), green tea powder. 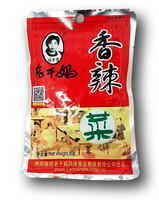 Soup Base: salt, seafood powder (shrimp, scallop, anchovy), flavor enhancer (E621), tapioca starch, sugar, hydrolyzed soy protein, dextrose, soy sauce powder (soybeans, wheat, salt), onion powder, maltodextrin, yeast extract, color (E150c), dehydrated green onion, garlic powder, chili powder, white pepper powder, ginger powder, rice oil, palm oil, turmeric powder, flavor enhancers (E627, E631), milk protein, anti-caking agent (E551), natural shrimp flavor. 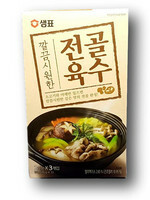 Contains wheat, shrimp, scallop, anchovy, soy and milk.